Wesley Mark Walker obituary. Carnes Funeral Home. 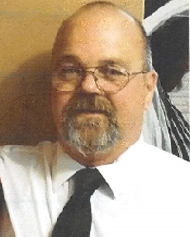 Wesley Mark Walker, 59, passed away on January 29, 2019 at his home in LaMarque, TX. Born in Waco, Texas. He was the son of Bobby David and Carolyn Jean Walker. He attended LaMarque High School and was Navy Veteran. He was self-employed and worked as a Master Electrician. He enjoyed fishing, hunting, golfing, painting, woodworking, gardening, cooking and was a master fish keeper and guitarist. He will be remembered for his quick wit, intelligence and huge heart. He is survived by his spouse Marilyn Yvette Walker, Mother-in-law Ms. Lily Smith, sisters Scheral Rivera, Tina Silvers, Lawanda Walker, brother Kenneth Walker, children Dontra Smith, Shantel LaCaze, Lillie Mae Burton, Jeremy Walker, Matthew Walker, Jacob Walker, Amber Rose Taylor, Michael Hurst and grandchildren, Sydni Walker, Jasmine Walker, Gage Taylor and Amara Pringle, ten great- grandchildren numerous nieces and nephews and pets Cassus and Lady. There will be a memorial service held on Friday, February 1, 2019 at 11am located at Carnes Funeral Home 3100 Gulf Freeway, Texas City, Texas 77591.